12" 13" 14" 15" 16" 17" 18" 19" 20" 21" 22" 23" 24" 25" 26" 27" 28" 29" 30" 31" 32" 33" 34" 35" 36" 37" 38" 39" 40" 41" 42" 43" 44" 45" 46" 47" 48" 49" 50" 51" 52" 53" 54" 55" 56" 57" 58" 59" 60" 61" 62" 63" 64" 65" 66" 67" 68" 69" 70" 71" 72" 73" 74" 75" 76" 77" 78" 79" 80" 81" 82" 83" 84" 85" 86" 87" 88" 89" 90" 91" 92" 93" 94" 95" 96" 97" 98" 99" 100" 101" 102" 103" 104" 105" 106" 107" 108" 109" 110" 111" 112" 113" 114" 115" 116" 117" 118" 119" 120" 121" 122" 123" 124" 125" 126" 127" 128" 129" 130" 131" 132" 0/0"1/8"1/4"3/8"1/2"5/8"3/4"7/8"
For a warm and inviting look that gives you total privacy or a complete open view, try our Soft Sheer Shades. Sheer Shadings are durable and elegant at the same time. 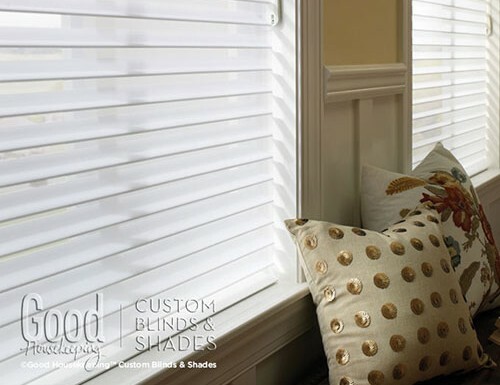 Horizontal fabric shades provide the look and feel of soft fabric shades but the functionality of a horizontal blind. 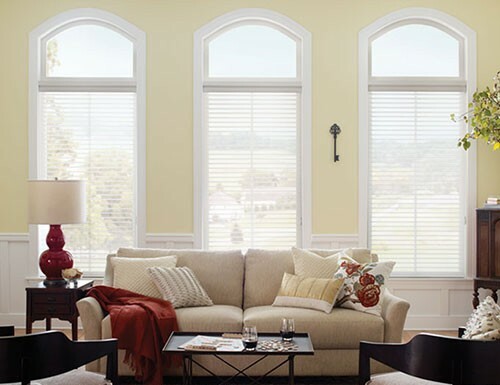 Tilt the sheer fabric window shades to allow filtered light in the room or raise them for an un-obstructed view. 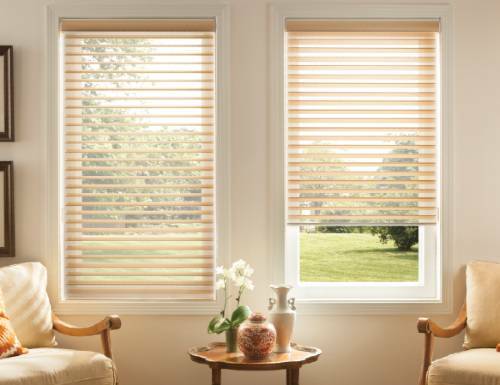 Our horizontal sheer shades come in wide selection of attractive colors. 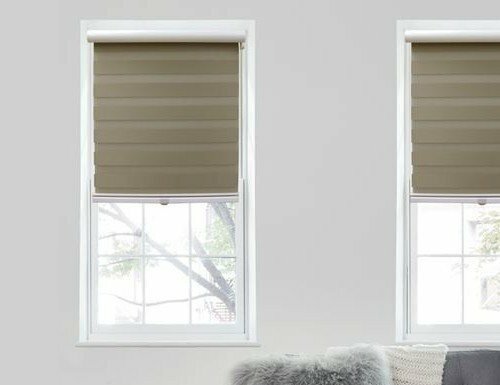 Our soft horizontal silhouette shades are now available in room darkening shades! There are plenty of things that you can do to your home to create that luxurious yet comfortable atmosphere. From cozy furniture to soothing colors on the wall, you can create a soft look in any room that can satisfy your senses. 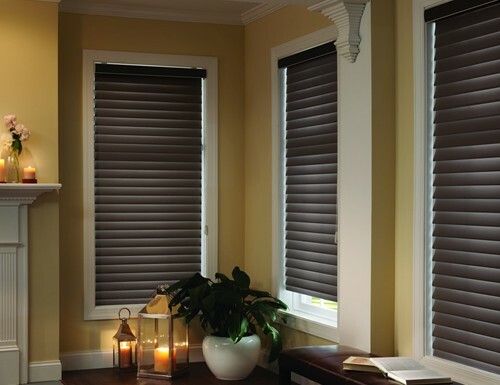 Perhaps an important element that’s most often forgotten is the lighting in the space - to create a certain mood in any room, fabric window shades from Blinds Chalet could be the perfect addition. 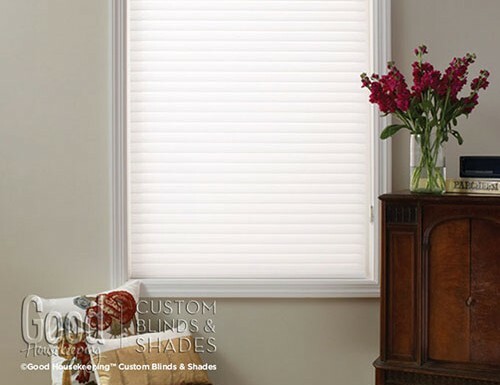 Normally made from a nylon and polyester blend, horizontal sheer shades are not only beautiful, they are also durable. 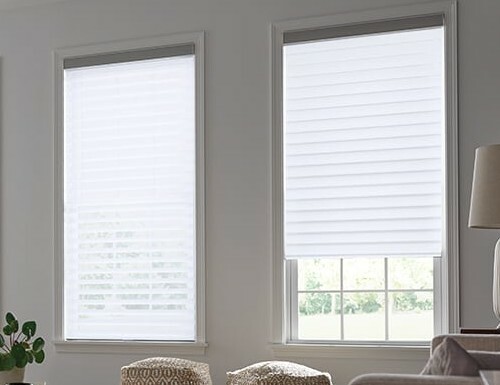 Additionally, these window treatments allow just the right amount of light in the home, creating a relaxing ambiance that’s sure to be a hit with everyone. 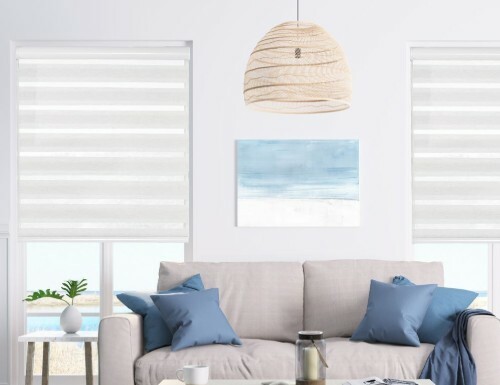 These sheer blinds and shades are also highly practical - if you need more light, simply use the cord mechanism to pull the sheer window shades up or down for some needed privacy. 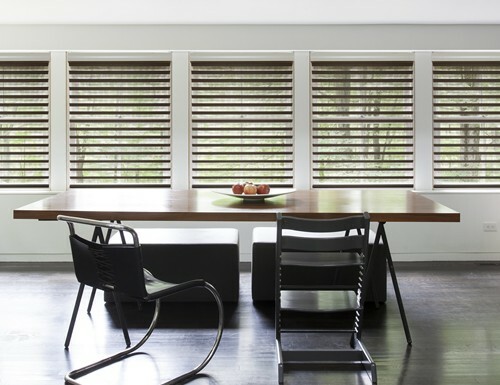 At Blinds Chalet, you’ll be able to choose from a variety of soft sheer blinds and silhouette shades to fit not only your budget but also your aesthetic, whether you prefer a contemporary setting or a traditional style. Note: Production lead times for soft sheer shades are slightly longer than our other sheer blinds and shades.